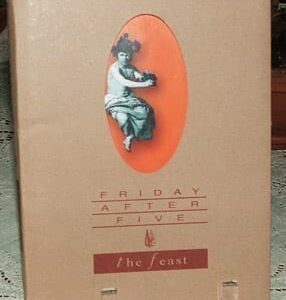 Purchase Fare ’56 Entrees with Cover by Peter Arno: Small cookbook compiled to benefit of The Purchase Fair Purchase Community House, Purchase, New York, in 1956. I don’t like to use the word “rare” lightly. 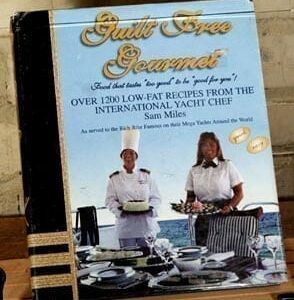 But, this is a rare cookbook. 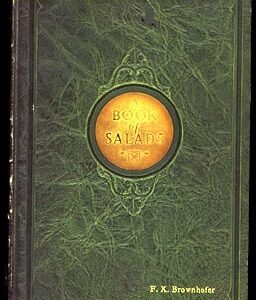 OCLC locates two copies (Culinary Instate and Syracuse) in the United States. There’s one other copy for sale now on the Internet. These recipes are pretty highfalutin’. 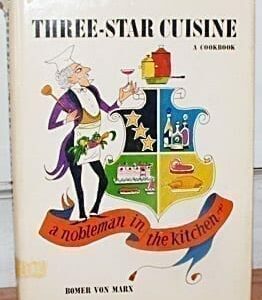 There’s a three-page recipe for Filet Wellington, three veal recipes, one for Pastitsio, one for Duck a L ‘Orange, one for Continental Piquante, and more. Lots of expensive wine is added to many dishes. But, there are ordinary recipes as well, like Hamburgers de Luxe, and Bill’s Favorite Cabbage Rolls. 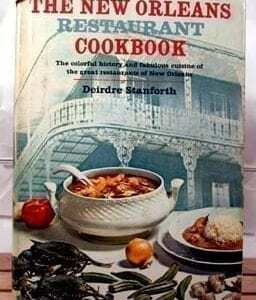 The cookbook is in excellent vintage condition. With the exception of some penciled check-marks at the top of recipes, all 66 pages are completely clean and clear. The heavy card stock cover has some very minor shelf wear. The plastic comb binding is perfect. Floating Island Recipe from Cook Book: A Selection of Tried and Tested Recipes, Members of the Women’s Institute, Sault Ste. Marie, Ont.